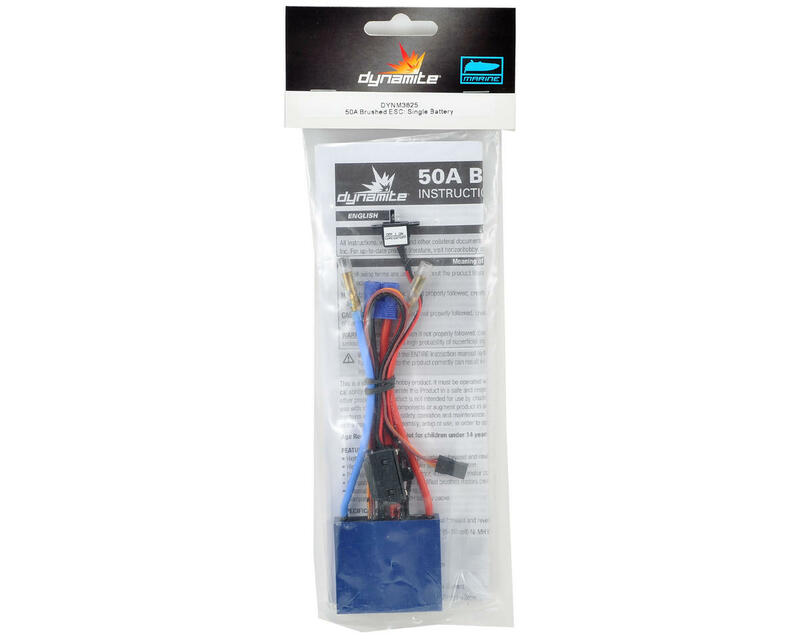 This is a replacement Dynamite 50A Brushed Single Battery Marine ESC. Designed specifically for high performance marine brushed motor applications, Dynamite’s lineup of marine ESC’s offer users with speed controls engineered to meet the performance demands of today’s high speed RC powerboats. OEM for most Pro Boat models this 50A speed control comes built for complete water cooling and was designed to easily handle the power delivered from today’s high output Li-Po batteries. 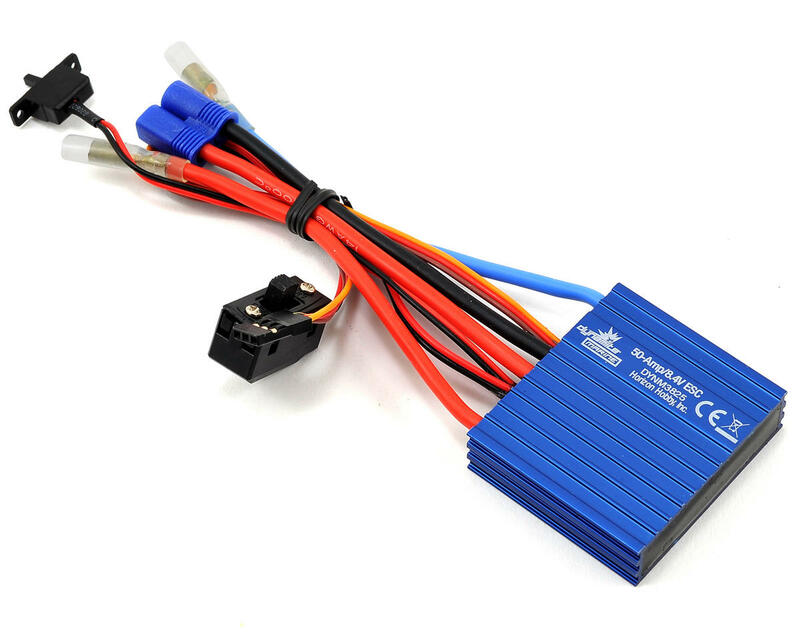 In addition, the ESC comes pre-wired with a NiMH/Li-Po switch providing an easy method of selecting NiMH or Li-Po battery types. Additional programming is easily managed through the Pro Boat marine programming module (not included).